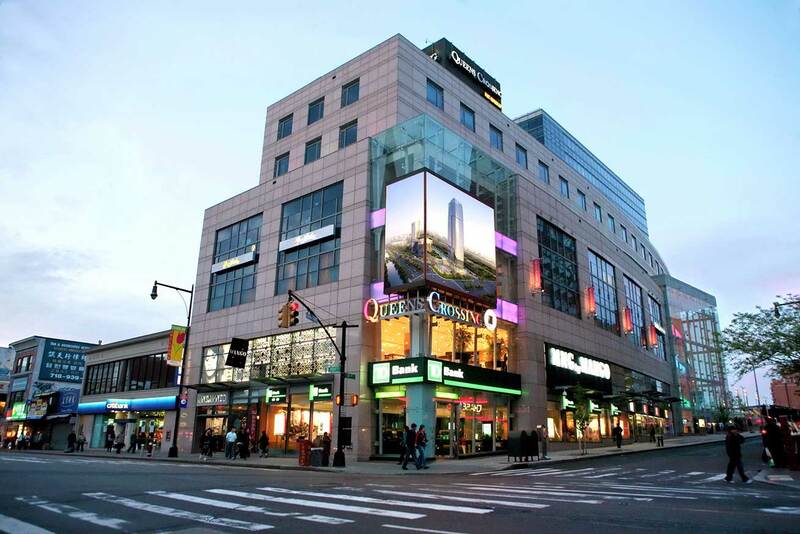 Situated at the corner of Main Street and 39th Avenue in Queens with a beautiful view of local stores, Queens Crossing includes over 110,000 sq. ft. of retail space with shops and restaurants, all conveniently served by multiple modes of public transportation, including the #7 Subway line. This one-stop shopping mall houses a wide selection of fashion and beauty boutiques, specialty lifestyle stores, theme restaurants and curated food court. Queens Crossing offers a relaxing and delightful shopping experience for all. Conveniently situated in the largest of five boroughs in New York City, several transportation options are available all year-round. Queens Crossing offers a variety of shopping and dining options, complete with art & entertainment spaces and professional facilities to provide you with an unique experience per visit.